Ultimately, what we do is far more illuminating and telling than what we say we do. Our happy trade show and retail client roster encompasses a wide range of industries: medical, food, manufacturing, tech, B2B/C, building materials, outdoor apparel, footwear and more. Having many glowing case studies to choose from is a pleasant dilemma. Here are a few to make our case. Aveda had not been to a trade show in 14 years and had an objective of reinvigorating the brand awareness in the Southern California market to share the Aveda vision and concept. With an emphasis on the art and science of pure flower and plant essences, it was important to create a natural environment that would be a unique experience within the limits of the show hall. In 2016, General Mills strategically selected nParallel as their preferred trade show design partner, just in time for Natural Products Expo West. nParallel took the challenging and creative concept of integrating eight different General Mills brands under one exhibit to create a cohesive feel. InQuest Marketing selected nParallel to define the trade show concept for their client Kobelco. nParallel designed the exhibit space and delivered all elements for the international construction industry trade show ConExpo. Wolters Kluwer specializes in advanced technology to help aid healthcare professionals in important decisions on patient care and outcomes using their integrated solutions, content and productivity tools. They are also one of nParallel’s first clients. Angie’s BOOMCHICKAPOP wanted to build awareness and excitement around their brand and their latest Crush It campaign, introduce 2018 innovation and promote in-store campaigns for upcoming business quarters. 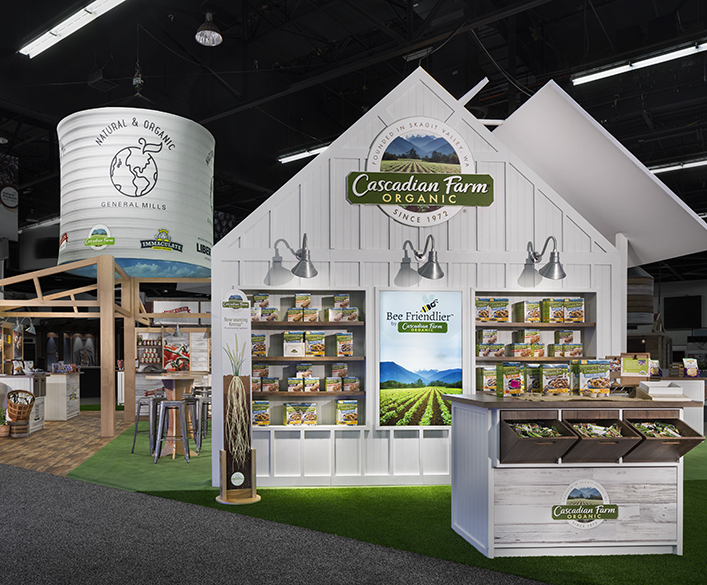 General Mills tasked nParallel with helping them showcase their natural and organic brands as an experiential exhibit at the Natural Products Expo West 2018 trade show. MatrixCare, the experts in successful technology solutions for long-term care delivery, asked nParallel to create a mobile solution to best showcase their healthcare technology. 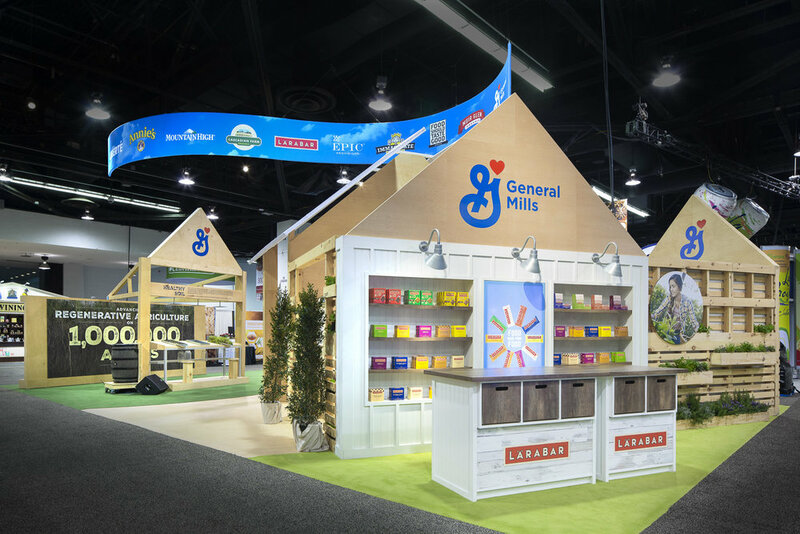 Our team helped General Mills receive the “Best Booth” award for its originality, interactive experiences, and impact at Natural Products Expo West. 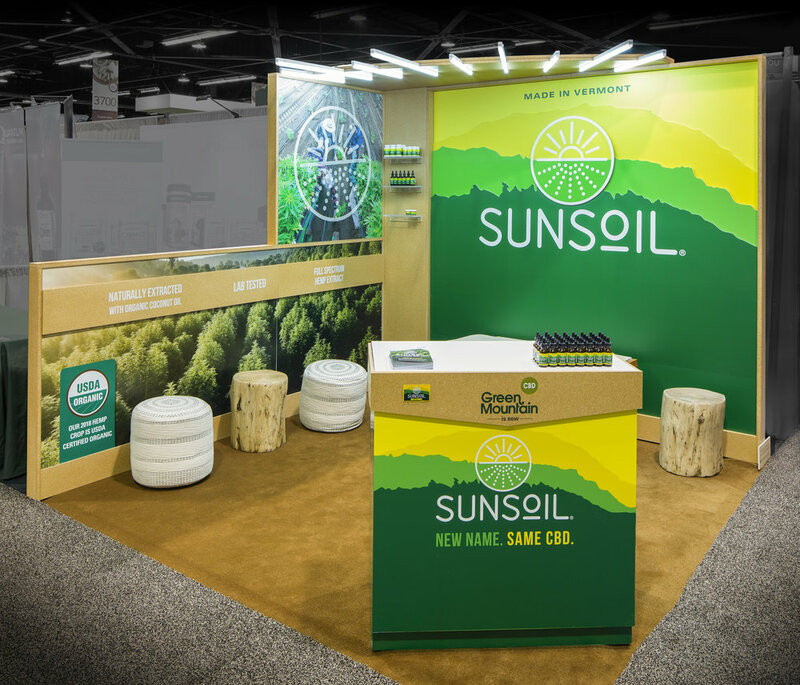 Sunsoil (formerly known as Green Mountain CBD) approached nParallel looking for a partner to quickly help them launch their new brand at their first national trade show. Drop us a line and we'll find a way to exceed your expectations.